This past weekend, Mont Vernon added Vintage Base Ball to their annual Lamson Farm Day which is a day of festivity at the Lamson Farm with displays by various groups in town. 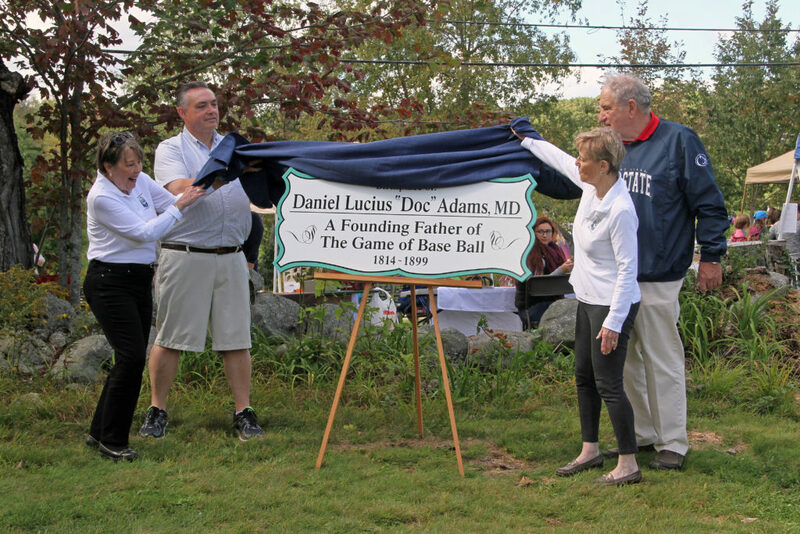 Last year, these Vintage Base Ball games were played as the Inaugural Doc Adams Invitational. Click here for more photos from this year’s event. It was a great event on a beautiful early fall day. 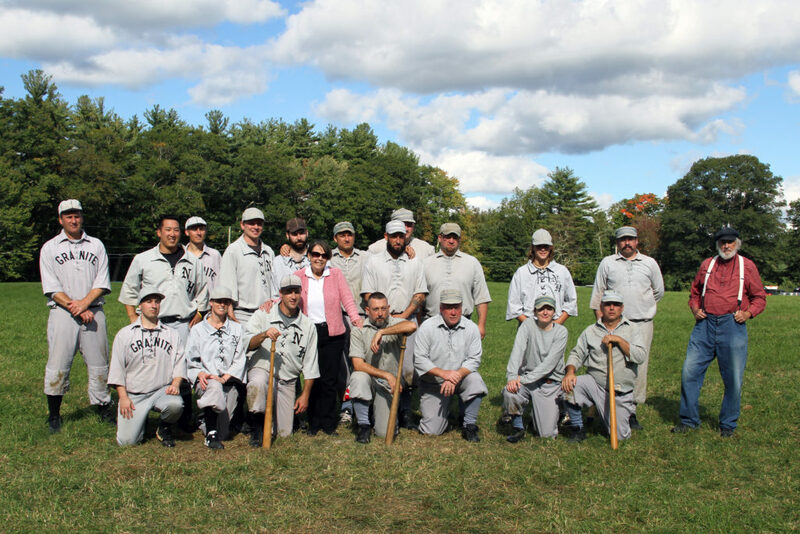 This year, two Vintage Base Ball games were played between the New Hampshire Granite and the Providence Gray Vintage Base Ball teams. The highlight of the day was the unveiling signs recognizing Mont Vernon as Doc Adams’ birthplace and his role as a Founding Father of Base Ball. It was even more special with Doc’s great-granddaughters, Marjorie Adams and Nancy Downey, in attendance. The signs were attached to the Welcome to Mont Vernon signs on Route 13, becoming the 1st permanent tributes to Doc Adams and his role as a contributions to baseball. A special thank you to all who contributed to help make this great day possible! We appreciate all your support so much. Click here for more pictures of this year’s event. Very nice! And good to see you ladies again.